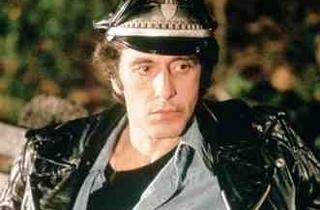 Starting from a classic undercover premise (Pacino descends into Manhattan's SM gay underworld to track a psychopathic killer), and opening with some powerful moments, Cruising soon drifts into bloody Village People-type caricature, with Pacino overplaying his nameless angst as the script patently refuses to tackle the central issue - its hero's sexual ambivalence. The structure continues to loosen, and although Friedkin - like Coppola - has always had difficulty with endings, this one is so arbitrary it's as if he just gave up. I assume the 'DP' credited above is erstwhile TO critic David Pirie, whose A Heritage of Horror was and still is an indispensable overview of UK's horror tradition(s) - not true alas of the 'updated' version, so full of mistakes and typos it's unreadable. But I digress. 'DP' got it wrong with this movie, as the frequent re-evaluations attest. 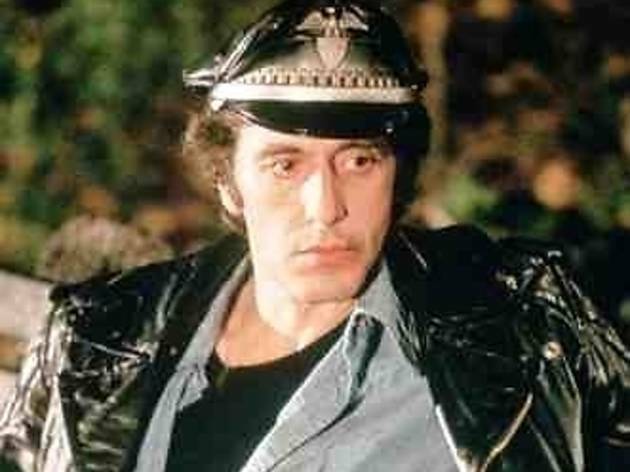 It really is a cracker of a film, anchored by Pacino's fearless, bravura performance, and although the movie's exploration of gender anxiety and urban identity cried out for Cammell & Roeg, it still works as a smashing neo-noir urban gothic horror story. And it isn't a 'gay' movie (whatever that may mean) as much as a fetish movie. Whatever THAT may mean. It certainly rewards another viewing. Or two. One of the most underrated films of the 80's, "Cruising" certainly deserves a second look. With its precise examination of a subculture, its haunting use of lighting, music & sound, and the subtle, transcendent manipulation of film noir flourishes, this is a work that stands as a major achievement from director William Friedkin. One of the most underrated films of the 80's, "Cruising" certainly deserves a second look. With its precise examination of a subculture, its haunting use of lighting, music & sound, and the subtle, transcendent manipulation of film noir flourishes, this is a work stands as a major achievement from director William Friedkin.